Located in the south west of Vietnam, Phu Quoc island together with other surrounding islets founded Phu Quoc archipelago (which is now Phu Quoc district in Kien Giang province). The history of discovering and developing in Phu Quoc started earlier than in other places in the Mekong Delta. In 1708, Mac Cuu merged Ha Tien (also consisted of Phu Quoc at that time) into Dang Trong (the southern region). Since then, Phu Quoc has been known as a part of Vietnam. 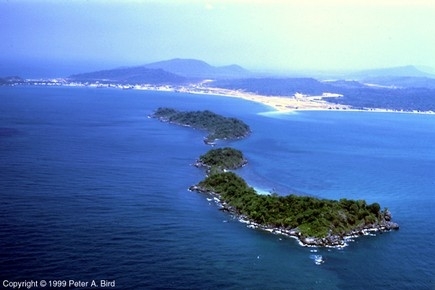 In 2008, Phu Quoc reached the age of 300 years old. In Phu Quoc, there are many vestiges of king Nguyen Anh (Gia Long) during his wandering time. The island was also an army base of patriot Nguyen Trung Truc to fight against French colonialists. Cay Dua prison in Phu Quoc is a famous place which cites lots of combat achievements of Vietnamese soldiers in the past. Today, Phu Quoc is a beautiful land, a picturesque spot, an fascinating tourist attraction and a little Vietnam. To come to Phu Quoc is to live in the nature to enjoy the pure beauty of a primitive island with interminable jungles and deep blue seas.